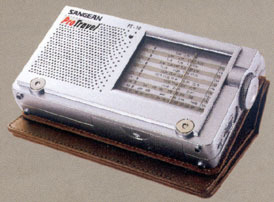 The Sangean PT10 ProTravel is a compact analog radio featuring longwave, AM, FM and nine shortwave bands. 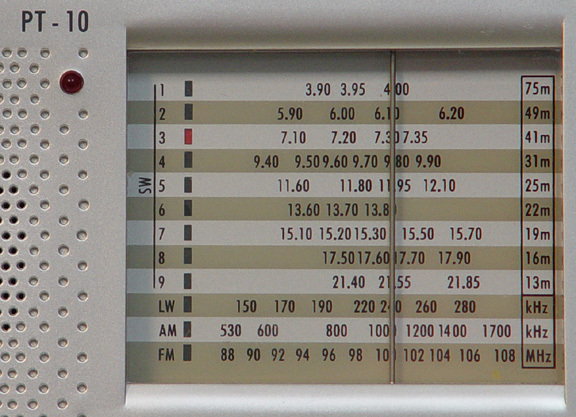 Shortwave bands are: 3900-4000, 5900-6200, 7100-7350, 9400-9900, 11600-12100, 13600-13800, 15100-15700, 17500-17900 and 21400-21850 kHz. Features include: LED stereo indicator (operates when earphones are in use) and case. 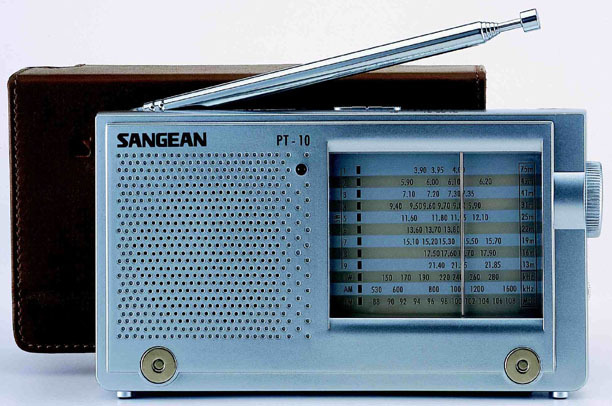 There is a Stereo-Mono switch on the left side of the radio. Has jack for external 3 - 6 VDC [ - ] power adapter (not supplied). Requires two AA cells (not supplied). Includes a butter-soft handcrafted, snap-on leather case.